This topic contains 9 replies, has 3 voices, and was last updated by John Tyler 2 months, 1 week ago. 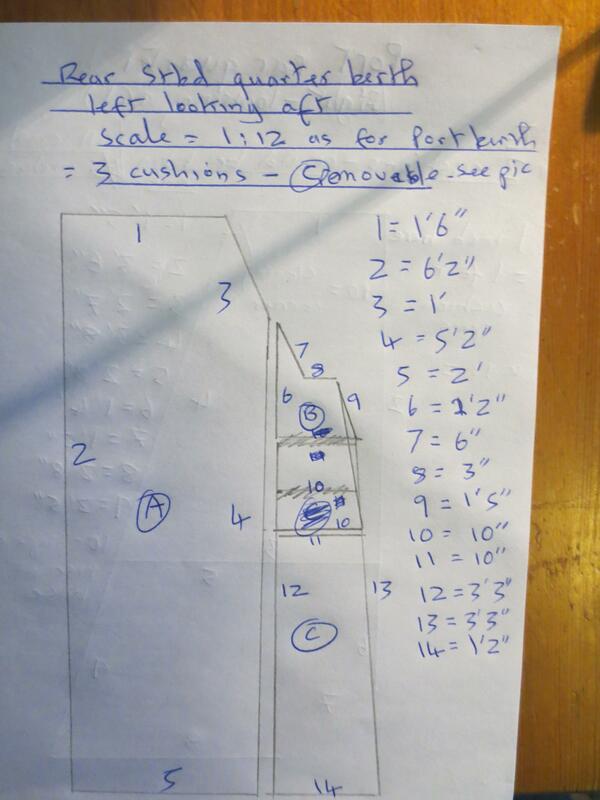 I was wondering if anyone had the standard berth cushion measurements for the forward V-berth and the two stern cabin berths. 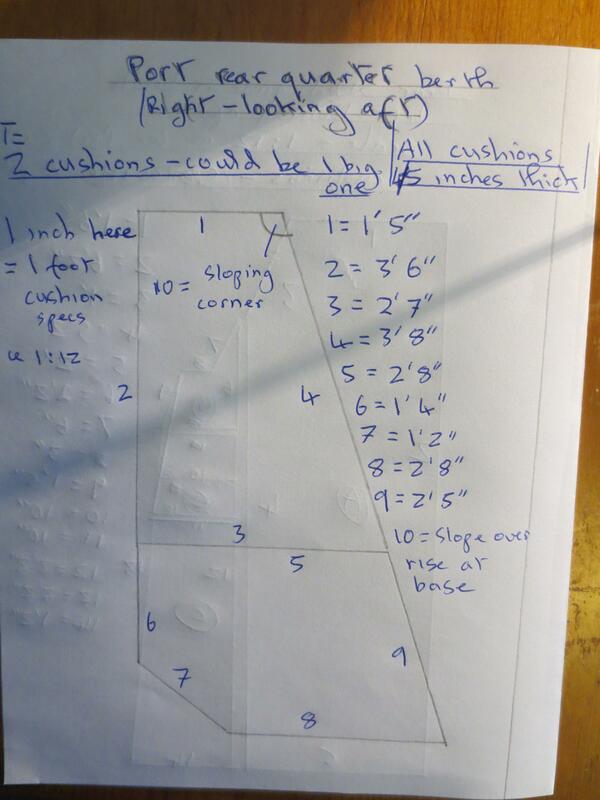 I received a holiday gift of new cushion covers, but the seamstress needs “the measurements”. 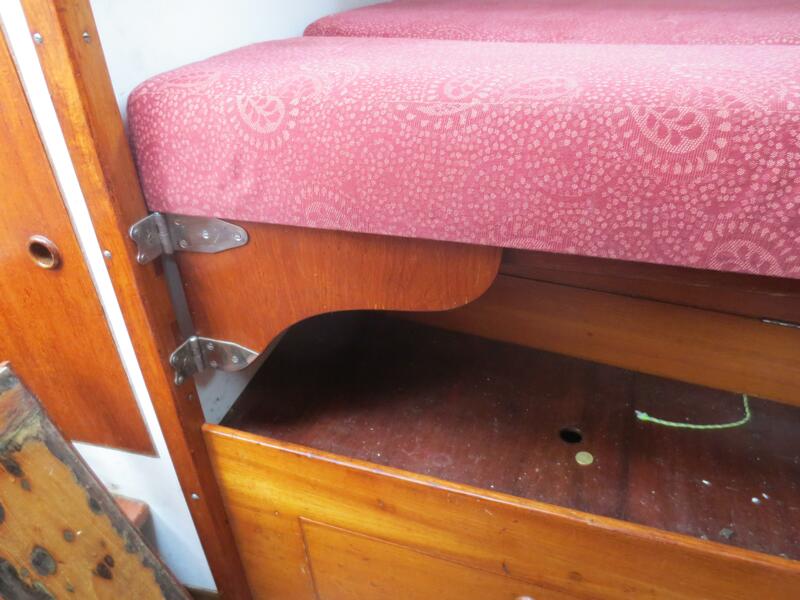 I can give you rough measurements for the v-berth cushions so your seamstress can get the materials – but I would suspect the actual cushions must be at the shop to get a perfect fit. For purchasing materials, I approximated that the v-berth cushions were 5″ thick, 21″ wide, 80″ long. Remember, the cushions are not rectangular, but this will give enough materials to do the job. 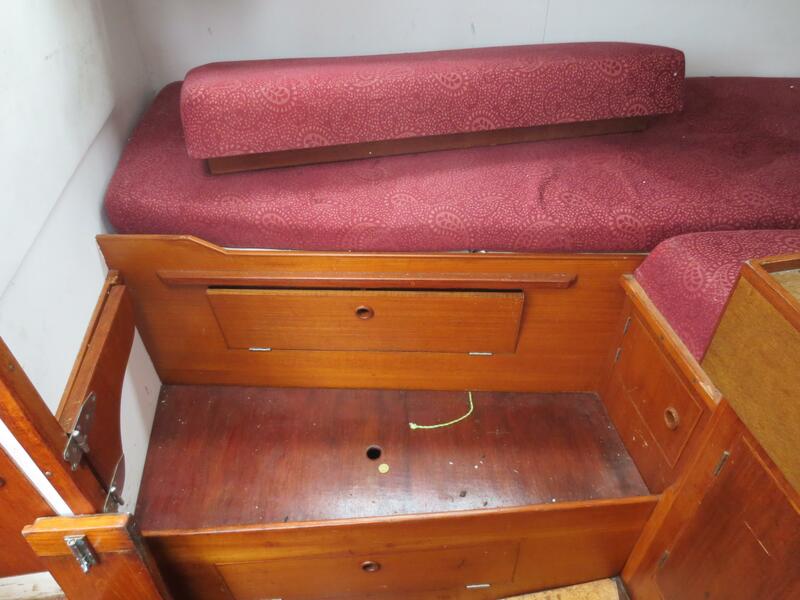 Rainshadow does not have the standard qtr berths in the aft cabin, so I cannot help with that. 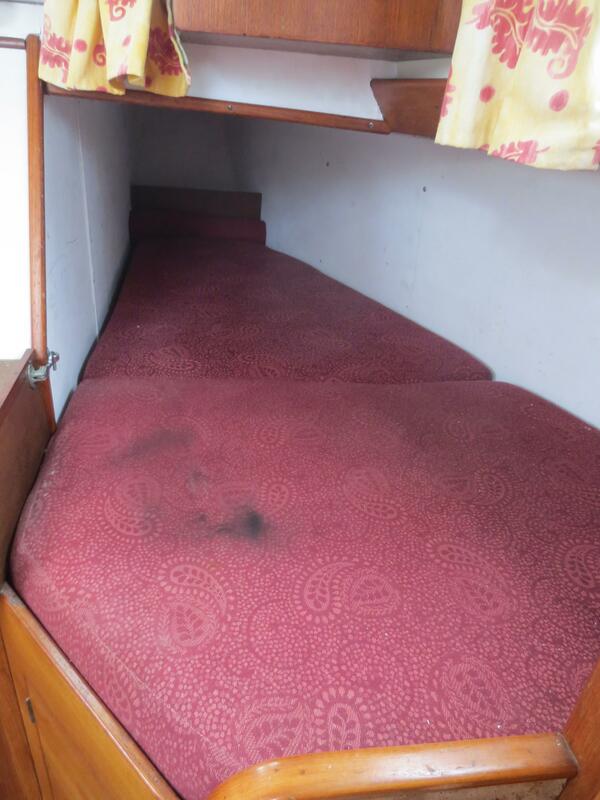 I have rear berth cushions & will get the measurements for you today + photo, as one side has a slightly unusual setup ie an extra small width cushion. Watch this space! 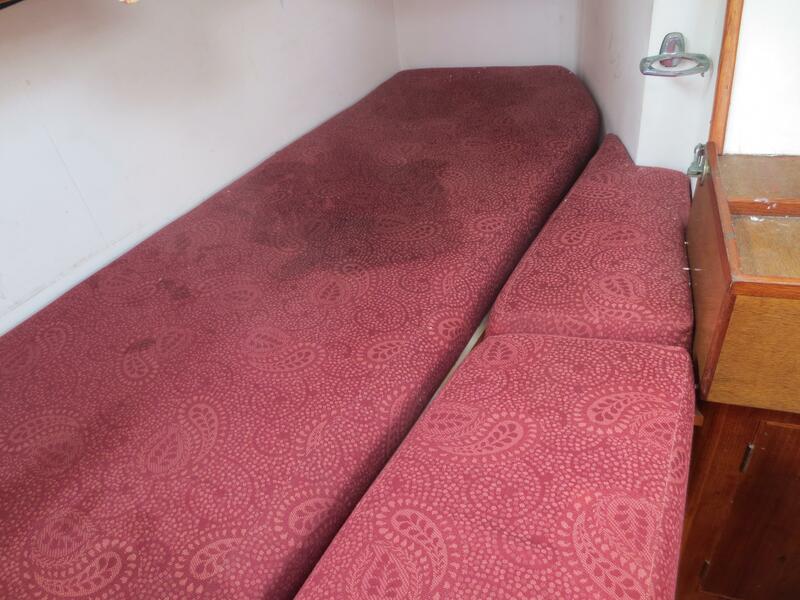 Above = photos of cushions & measurements of rear berths / cabin on Aquarius. More info from John Tyler via this site.